Here's the end view of a proper guide set. This type of guide is held in place by "scaffolding nails". They are a double headed nail for easy setting and pulling. Watch that the nails don't protrude to deeply into the log. 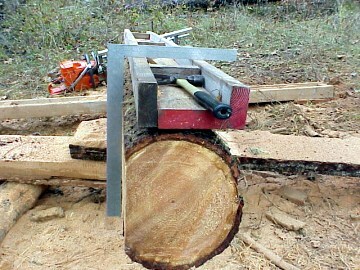 You will dull your saw post haste.